In the wake of last week's statement from the Formula One Promoters Association (FOPA), which saw 16 of the current 21 race promoters take issue with the sport's owners, Liberty Media, on a number of issues, furious work behind the scenes saw a couple of promoters leap to the company's defence. First up was Russia, quickly followed by Mexico, while only this week the Baku promoter insisted the FOPA statement had actually been misconstrued. In a robust rubbishing of the FOPA statement, Sergey Vorobyev, deputy general director of Sochi F1 promoter Rosgonki, declared, according to Autosport: "The statement is fairly toothless, because all the issues indicated there, in this statement, they are being resolved one way or another in the current format of communication with Liberty. "It was at the initiative of Liberty that all the promoters gathered in London, specifically to discuss common matters with the participation of Liberty Media," he added. "I do not see the need for a separate assembly of some promoters. "I do not share the position of the current chairman of the FOPA Association, Stuart Pringle. In his comments - public comments for the media - he has very frequently made personal criticisms of Liberty's leadership and our whole common sport. I don't believe this approach to be constructive, and therefore we, along with several other grands prix - and I am sure there will be more of us in the coming days, weeks and months - are not members of FOPA." Vorobyev subsequently took to Twitter ram home his message: "I do not share FOPA's point of view and approach." Just over a week later and it would appear that Igor Yermilin, president of the Russian Federation of Auto Sport and Tourism, which is a member of the FIA, has a slightly different view, clearly not sharing Vorobyev's faith in Liberty. "The situation is completely expected," he tells Sportsbox. "The current management wanted to start improving F1 but it turned out to be a lot more difficult. "They have neither the experience nor the ability to finely control the process, as Bernie Ecclestone did," he continued. "And all the uncertainties that arise in such a situation generate rumours. "All the loud statements from Liberty Media are slowly stopping and now we hear almost nothing from them," he added. "There are still no new technical regulations. The Concorde Agreement expires soon but that is not very clear, and there are problems with the original promoters who have had grands prix for decades." Asked about rumours that Liberty was actually looking to sell the sport, he replied: "It is very difficult to find a buyer who is ready to spend the amount the Americans would need after everything they have spent. They would need to sell it more expensively than they bought it, but there is hardly anyone who is ready to do that." 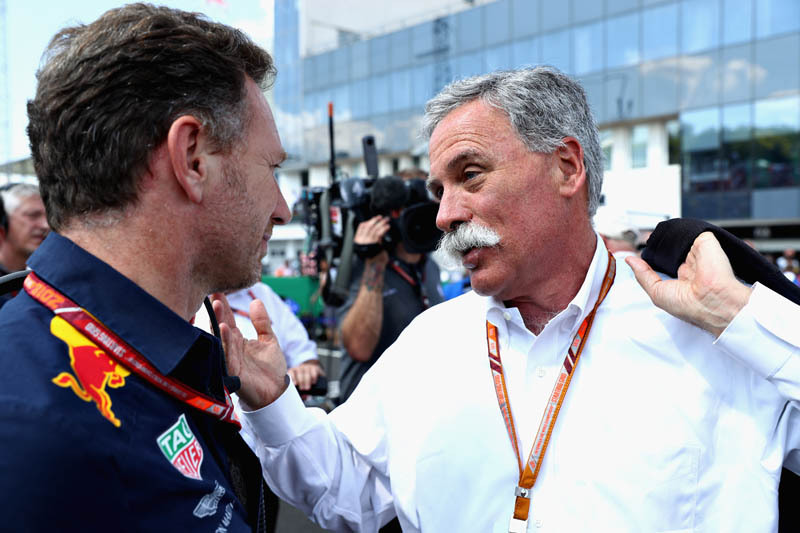 Yermilin's comments come just days after one promoter told Pitpass that in terms of Chase Carey, the man who replaced Bernie Ecclestone as F1 supremo: "He does what he was hired to do. Not to run and develop the sport, no. His job is to "build the brand"." "What Liberty should do is ask Mr Ecclestone to find them a buyer, willing to bail them out. A buyer willing to bring racing back to F1, do away with the over complications. Get the best drivers, not the ones with the largest wallets, and let them control the cars. Make it cheaper, we need minimum 24 cars on the grid. " "Look very much like the promoters preferred working with Bernie. What Media Liberty is giving is uncertainty. How long before we see a new management team ?"